Akismet is the free WordPress plugin, which helps in checking and reviewing all the spam comments, under the comments section on the blog. So, if a comment looks like a spam, it is highlighted, and reviewed under the admin screen, before it is posted on the blog. Akismet is the anti-spam service, which fights with the spams, and keeps them spam-free. With Akismet, people can easily moderate the comments. It gives a status history, with the help of which, people would be able to find out which of the comments were cleared up by Akismet. And, there will also be record of which comments were spammed or un-spammed by the moderator. 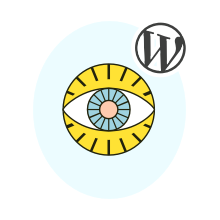 The WordPress Plugin also comes with a discard feature, which can be useful for saving the disk space, and can speed up the site. For people, who maintain blogs, moderating the comments, can become one major exercise. As the blog becomes popular, a lot of people try to promote their own sites, by adding links and other spam content, on the blog. And, it becomes really difficult for the moderator to check out each and every comment, and filter them out. For such people, Akismet WordPress Plugin can be quite beneficial. Akismet is a free plugin, and can be easily downloaded for free. For using this plugin, one will require an API key. While the keys are free for the personal blogs, the commercial sites and businesses can choose to go for the paid subscriptions. So, to get going, one can sign up for the Akismet plan, which suits the requirements of the blogger. By using the API key, the plugin can be activated. Once, that is done, one can be rest assured that Akismet is protecting the site.